The first of Carnival's Victory Class ships, Carnival Victory can be found cruising throughout the year in the Caribbean Sea, typically departing from either Puerto Rico or Barbados. This ship is an excellent choice for those that desire a fun-filled and affordable vacation in the exotic Southern Caribbean. 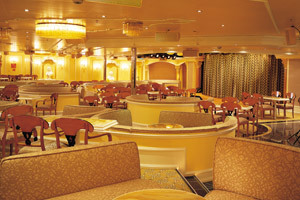 Among the many dining options available on a Carnival Victory cruise are the main dining rooms (where guests can choose between assigned and open dining), the Mediterranean Lido Restaurant (featuring a large buffet, including East River Deli and Yangtze Wok), Pizzeria Arno, Mississippi BBQ, as well as 24-hour room service. In early 2018, Carnival Victory recently underwent a multi-million-dollar renovation that included the addition of several new stateroom categories. 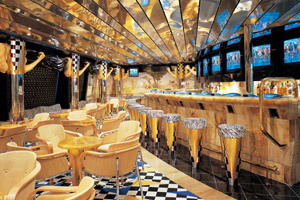 In addition to the cabin updates, Carnival Victory also received new bars and dining venues, including Guy’s Burger Joint, the Redfrog Rum Bar, BlueIguana Cantina and BlueIguana Tequila Bar, Bonsai Sushi Express, a re-branded Deli and sweet shop Cherry on Top. 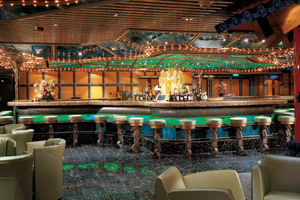 While on a Carnival Victory cruise you'll have the opportunity to enjoy a variety of entertainment venues, as well as many fun things to do. 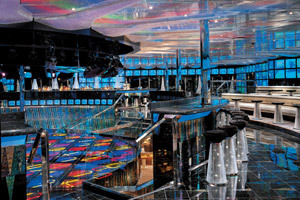 For instance, there's a three-deck show lounge, a large casino, swimming pools, hot tubs, a 9-hole mini-golf course, Spa Carnival (a full-service spa that's also home to a fitness center and beauty salon), many bars and lounges (including Club Arctic Dance Club, Black & Red Seas Lounge, Irish Sea Piano Bar, Caspian Wine Bar and the Adriatic Aft Lounge), an art gallery, photo gallery, library, video arcade, duty-free shopping boutiques and internet cafe. There's a fantastic (age-based) youth program available on all Carnival Victory cruises. Camp Carnival is for 2 to 11 year olds, which is supervised by experienced staff members; Circle "C" is for 12 to 14 year olds, featuring video games, dance parties, Karaoke, and late night movies; Club O2 is for 15 to 17 year olds, and is a fun 'round the clock hangout, offering food, music and video games. Guests of all ages enjoy Carnival Victory's three-deck high twisting waterslide. 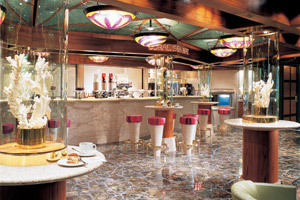 This area of the ship is particular popular among cruisers traveling with their family and friends, as it provides guests with a fun-filled time. 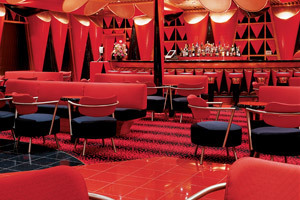 If you're feeling lucky while on a Carnival Victory cruise, consider testing your luck out at the ship's large casino. 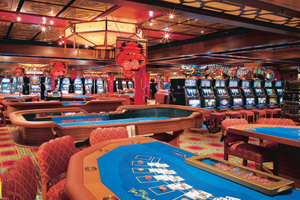 Among the popular games available at this venue are blackjack, roulette, craps, poker and a variety of slot machines. Also usually available at this casino (at least a couple of times during a cruise) are tournaments, including Texas Hold'em. 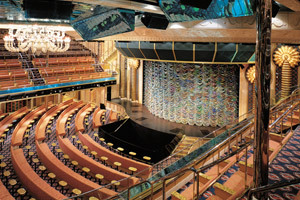 Carnival Victory's three-level main show lounge is host to a live performance during each evening. Examples of possible shows are Broadway-style productions, comedians, magicians, musicians, acrobats, dancers, singers and even game shows that often include volunteers from the audience. Low Price Guarantee on all Carnival Victory Cruises! Book any Carnival Victory cruise with us and you'll get the best deal possible, regardless of the ship or sail date! 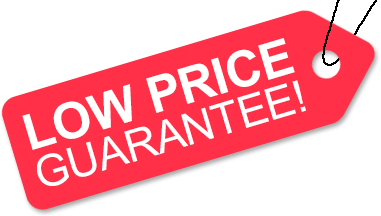 Because of our "Low Price Guarantee," nobody beats our Carnival Victory cruise prices, so look around and you're sure to find the best Carnival Victory cruise deal possible when booking with us! Pre-Paid Gratuities on Carnival Victory Cruises! Get Cruise Cash when you book a Carnival Victory cruise with us. 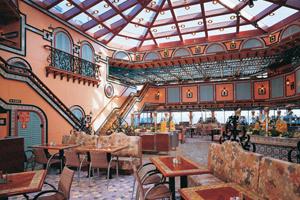 The value of the Cruise Cash depends on the particular cruise and accommodations you book. Cruise Cash values are listed on Step 3 of the online booking process. Save up to 20% on Carnival Victory Cruises! Book a 3- to 5-night Carnival Victory cruise at least 3-months in advance, or a 6-night or longer Carnival Victory cruise at least 5 months in advance and save up to 20%! Plus, get Price Protection from Carnival: If you find a lower Carnival Advertised Rate, after booking, Carnival will honor it and issue the difference in the form of a non-refundable onboard credit. We do not charge booking fees on any cruises! You're sure to enjoy an affordable Carnival Victory cruise when booking with us! Our special offers on Carnival Victory cruises may not be combinable. Certain restrictions apply to each offer. View terms and conditions during the online booking process. 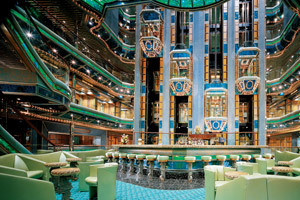 Click a price below to view the Carnival Victory cruises during that month in that destination.